Has Been In Our Blood Since 1988. We craft more than 40 different styles of beer — from sessionable ales and lagers to jaw-dropping seasonal and experimental rule-breakers – each year on our brand new state of the art 20-barrel brewing system. Our first brewer Russell Scherer was curious, with a charming irreverence for traditional beer styles. His legacy lives on in Wynkoop’s current beer lineup, which features unexpected ingredients (think Rocky Mountain Oysters), a huge variety of beer styles (check out our beer list), and the zest of Wynkoop’s current brewing staff (meet them here). 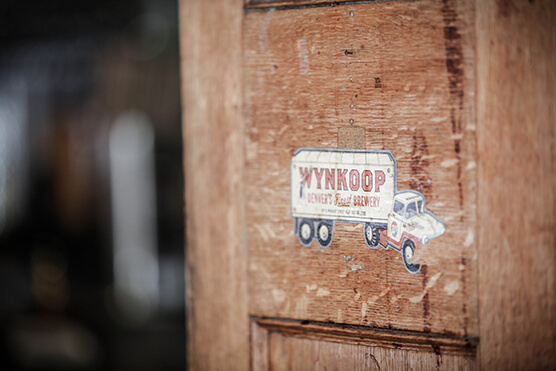 Find a Wynkoop beer near you. In collaboration, Station 26 Brewing Co and Wynkoop Brewing Company teamed up as old friends to bring back a medal winning, crushworthy classic first brewed in Vail, Colorado. Pioneering the Golden Age of Craft Beer with Wynkoop Brewing Co. Craft beer obsessed, Wynkoop Brewing Company’s pioneer days are far from behind them. Head Brewer John Sims and team are onerous brewers committed to pushing craft beer process and its use of unusual ingredients further out — into the Golden Age. IT’S GREAT. IT’S AMERICAN. IT’S A BEER FESTIVAL. IT’S THE GREAT AMERICAN BEER FESTIVAL. WHAT’S NOT TO LOVE? John Simms is the latest brewer to join the ranks over at Wynkoop Brewery. He started brewing in Dallas in 1993, worked his way up and went on to work for several more breweries over the years. He also served as President of the Craft Brewers Association from 1999 – 2001. We are thrilled to announce the release of our newly redesigned website. It has been crafted to reflect Wyknoop’s rich history and our love for really good beer. We hope that you will enjoy our website’s fresh new look. Grab a beer and hang out with us for a while. Post by Wynkoop Brewing Co.
$60 with sample size beer pairing or $70 with full size pairing. What do cool girls want for Valentine’s Day? 20 of our favorite Colorado craft beers from 2013…. The thirteen best new Colorado beers of 2013…. via Featured on the Next Brewed – Wynkoop. Denver Post article about what Wynkoop has in the works for 2014. Wynkoop planning expanded barrel program, tasting room in basement…. White Snow and Black Beer: Wynkoop’s Parade of Darks – Denver off the Wagon…. Our custom beer project with the famed Elitch Gardens Theme & Water Park in Denver is back in action.